Hey Good Looking! Solar panels are no longer the ugly duckling of renewable energy. 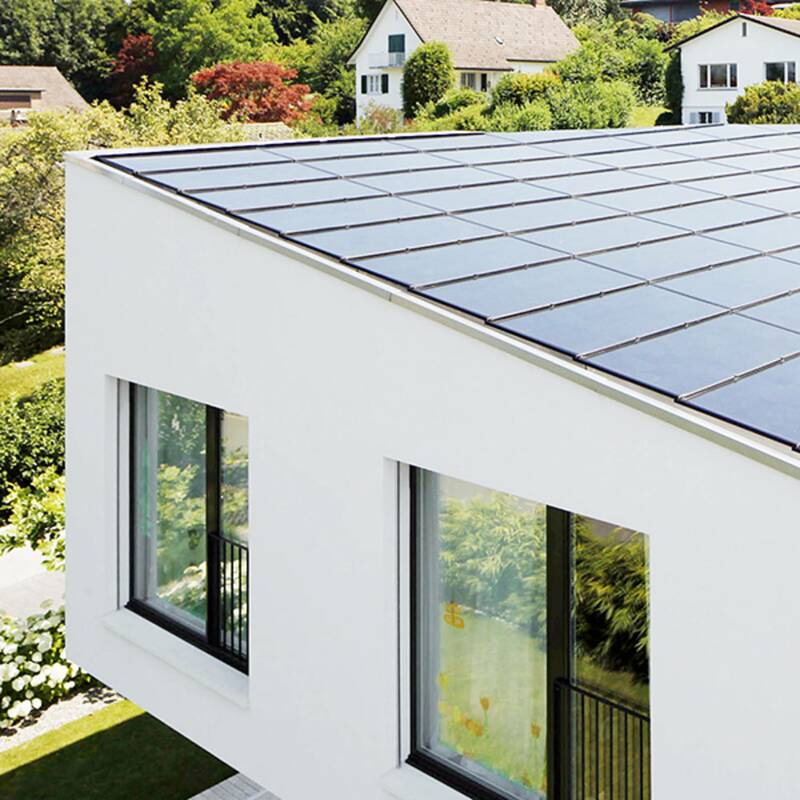 So, you’ve been put off by the look of solar panels on your roof? You’re not alone. About a third of people interested in solar give it as their no 1 worry. Recently, the market’s changed massively. And this year, there’s a big game changer coming: thank you, Elon Musk, for Tesla Tiles. Looks often come at a premium, but even with standard panels, the choice now is greater than ever. Silver Frame, White Backing, Wires. Normally cheapest in a manufacturer’s range. The aluminium frame stands out and the white backing sheet is visible between the cells. The set up reflects more heat, keeps the panel cooler and increases efficiency. Because they’re quite industrial looking, these basic panels are very popular in inner-city settings, fitting in well with the current ‘industrial chic’ trend. They look particularly good on metal roofs in high-density urban landscapes, so if you’ve got a warehouse to power, these are the best of all worlds: cheap, chic and high energy. Black Frame, White Backing, Wires. Manufacturers have started offering black frames as a direct response to requests from the consumer. Colouring the frame black makes your panels look less conspicuous on the roof without affecting performance too much as the backing sheet is still white. For modern houses, especially in suburban areas, black frames are popular as they take the harsh edge off the look compared to silver-framed panels. Black Frame, White Backing, No Wires. Don’t like that griddy look? 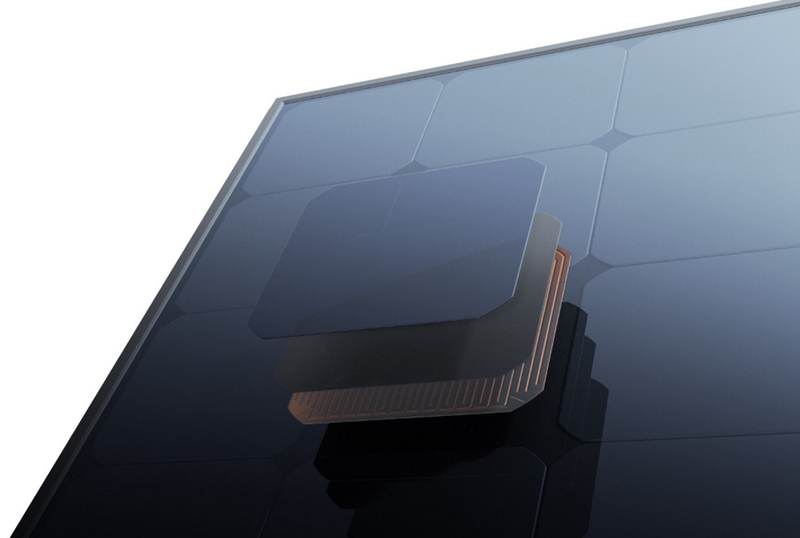 With Sunpower’s Maxeon technology, the wires are hidden under the panels. So why isn’t everyone doing it? Well, it’s patented technology and the prices is higher. But, they do more than repay you over their lifetime, due to better build quality and exceptional power generation. 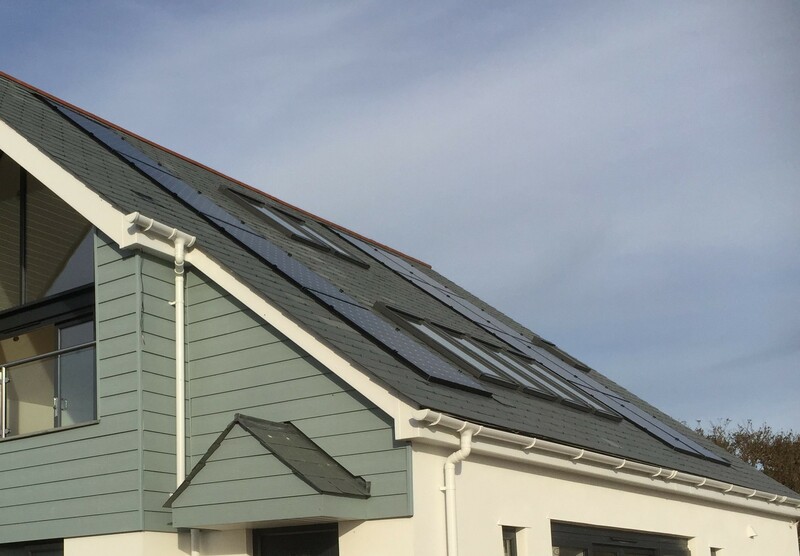 Older and lighter grey slate roofs look great with Sunpower panels. When you’re stood back from the property, the white backing sheet combined with the wireless black panels give them a complementary grey sheen. Replacing the white backing sheet with a black one can improve the look of the panels, making them seem less obvious, like this stylish product from LG. But the flip side is it can affect performance due to increased operating temperatures. Black panels with black backing are great for traditional slate roofs when you’re still working to an average budget. Viewed from a distance the panels blend into the roof though the pinstripe of the bus bars is still visible close up. 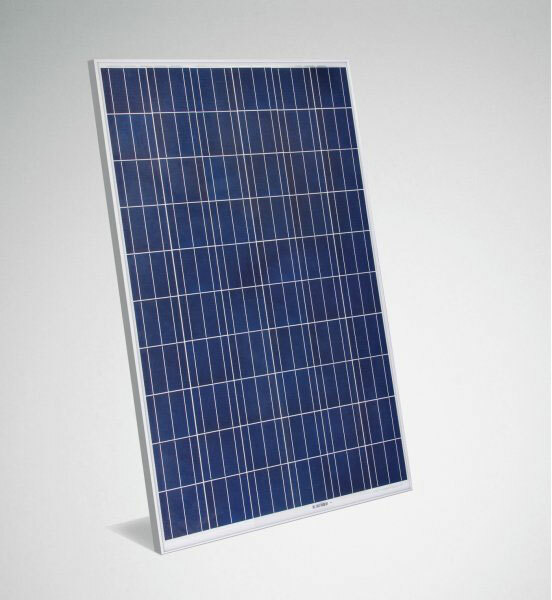 For a truly all black panel the Sunpower Maxeon technology allows black backing without too much loss of performance. A great solution for modern slate roofs as they blend in so well, looking very much like a Velux window. 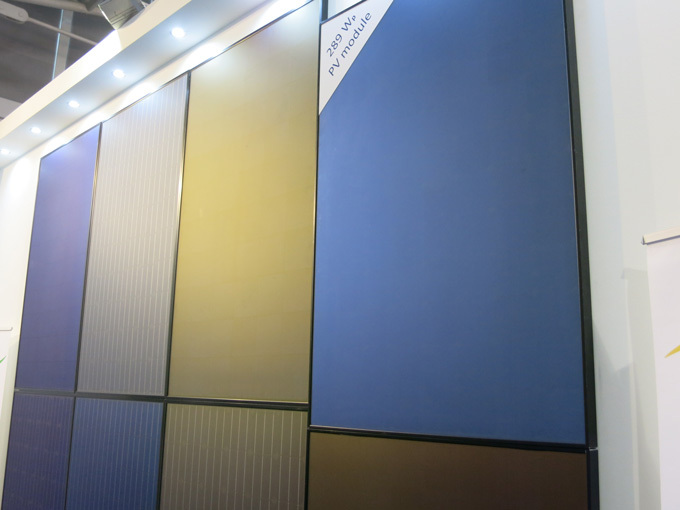 If you really want some colour in your life, or on your roof, you can now choose Solar PV panels of almost any hue. Some people do it because they want to stand out, others do it for precisely the opposite reason – to blend in. Who said you had to put panels on your roof? 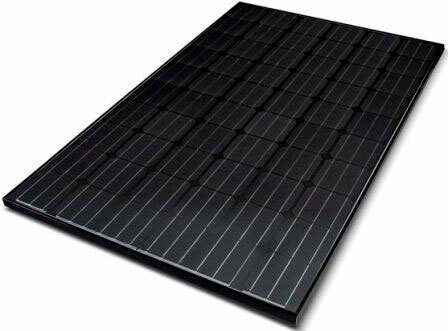 You can set your PV panels flush with the roof, replacing sections of your roof fabric. In-roof systems typically add around 10% to the installation costs. These costs can be offset against the reduced need for roof fabric. Performance is typically lower by around 5% due to reduced ventilation. (All Solar PV systems need good ventilation for optimum efficiency.) Trying to work out the pros and cons of these systems can be very tricky and often puts people off. However, our specialist PV Sol software accurately calculates the performance comparing it to all other systems. 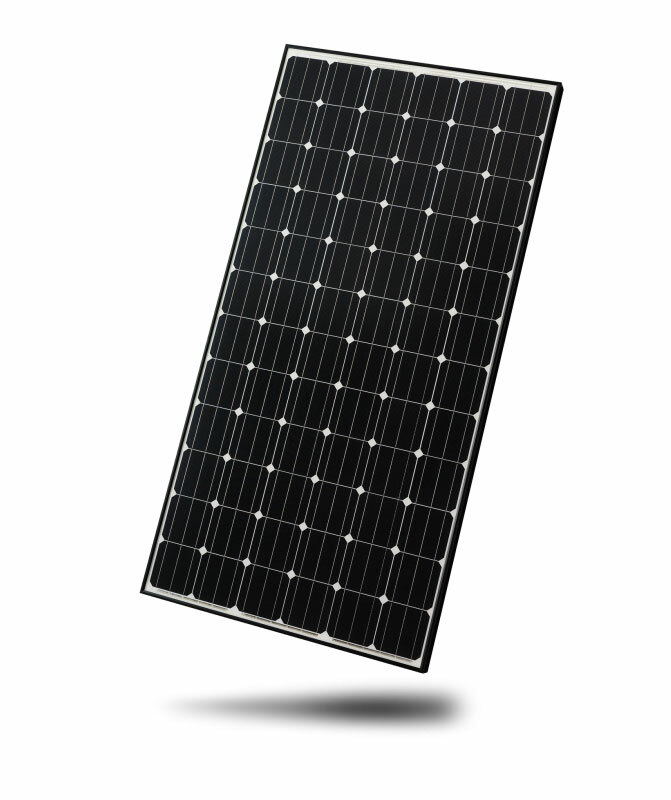 In-Roof Solar PV is becoming increasing popular. If you’re planning a new build, it really should be one of the first options you consider. In-Roof Solar Panels can reduce the cost of roofers and slates/tiles while looking like they were meant to be there all along. And with new heat recovery technology on the market, they can also help to reduce your heating bills. See the video here. You can even go the whole hog? Do away with traditional roofing fabrics and just have the top of your house built entirely out of PV material. This has only recently become available to the consumer, but we reckon it’s going to be a major trend over the next decade. They look fantastic, and can be highly efficient if set up properly. New options are coming on to the market all the time, so if you’re interested, talk to us to discuss the possibilities. For listed buildings and traditional properties, solar-powered slate and tiles are the answer, but at the moment they still come at a price. As you’d expect, they cost considerably more, and they’re not as efficient. However, they really do look fantastic and, in some cases, even unnoticeable. 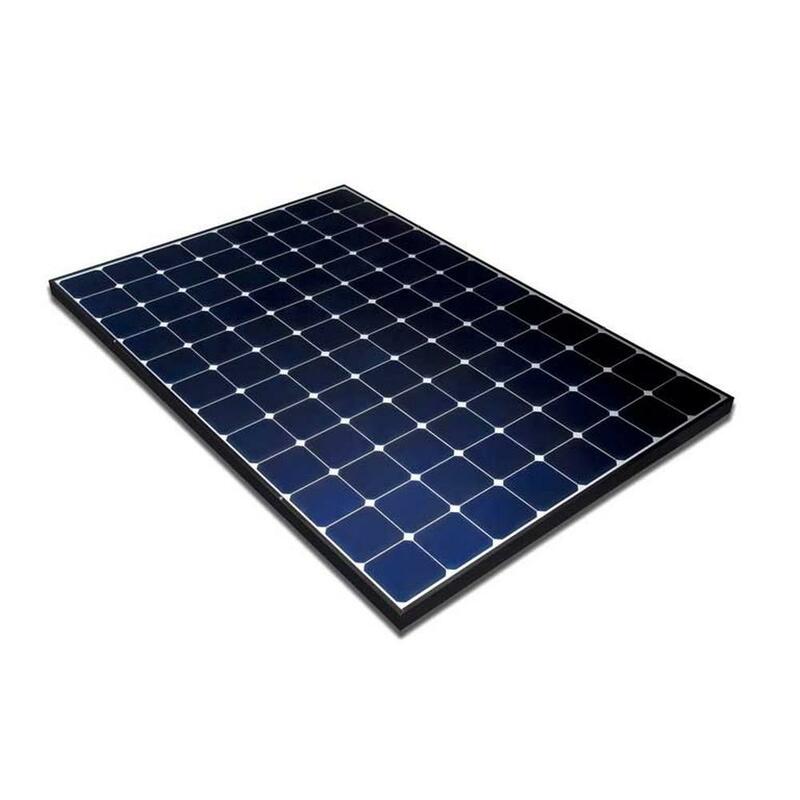 If you’re in a conservation area, or changing the look of your property is a major drawback solar tiles could be for you. Again, the reduced ventilation affects performance, but our PV Sol software can give you accurate forecasts for your particular situation, so you can make a fully informed choice. The Ultimate Solar Roof Tile? Tesla announced the development of Tesla Roof Tiles in October 2016, you’ll know it’s a leap forwards in Solar aesthetics. They just look like a normal roof and they are genuinely beautiful. Given Elon Musk’s track record so far, we’d be surprised if efficiency wasn’t a high priority, but we don’t know for sure yet. And price will be a consideration. We’ll let you know, as soon as we know when they’re available, just sign up for our newsletter on the form on our home page. The values we’ve given are an estimate only, until we know more.